In a move akin to Herman’s Hermits opening for the Rolling Stones, Palm has decided to announce the new Palm Pixi, a phone akin to the Palm Centro of yore in price point and features, on the very day Apple will eat up the rest of the news cycle. The Pixi is a non-slider with touchscreen and full keyboard. It will cost about $149 with two year contract and rebates on Sprint. You have 8GB of on board storage and it takes 2-megapixel pictures – down from the Pre’s 3-megapixels. There is no Wi-Fi, a dealbreaker for many. The Pixi will be available in multiple “Artist Series” styles and will be available around the holidays. The Pre costs about $199 – cut to $99 for a bit and then raised back up – so a $50 savings isn’t much when it comes to a device without Wi-Fi. I think the average smartphone buyer is looking for a few things in a device – a touchscreen, 3G networking, and, ideally, some alternative form of transfer. This doesn’t have it. That said, it’s a fascinating move by Palm. Either they wanted to bury this news in the Apple event today or they foolishly thought this would overshadow the event. I’m betting on the former. WebOS is a contender but with phones like the Hero and the Tattoo appearing on the horizon and HTC really taking a a hard look at its competitors – and eating them – Palm may be barking up the wrong tree. We’ll have hands on later today. SUNNYVALE, Calif., Sept. 9, 2009 – Palm, Inc. (NASDAQ: PALM) today introduced the Palm® Pixi™ phone for faster, more intuitive and personal communication in a compact and customizable design. (1) With the instinctively useable Palm webOS™ platform, strikingly thin design, a visible full keyboard and fashionable personalization options, Palm Pixi lets you express yourself in amazingly useful ways. It’s scheduled to be available exclusively from Sprint in time for the holidays. Complementing the phone’s already rich Facebook integration with the contacts, phone, calendar and photo applications, a new Facebook application will be available with Palm Pixi so you can see and comment on all the latest news from your friends, as well as easily update your status. The phone’s full QWERTY keyboard puts it all at your fingertips, and the multi-touch screen lets you move back and forth between open applications using natural gestures. 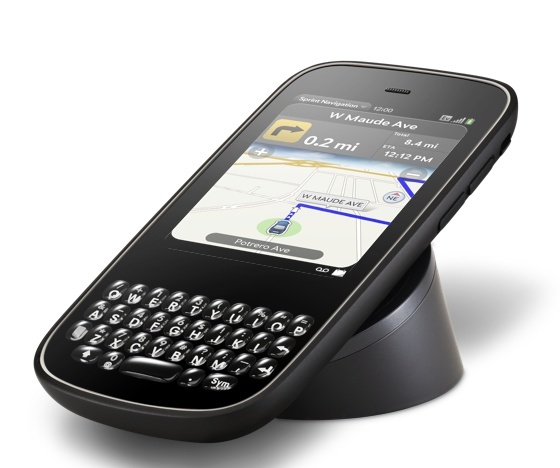 (4) The unique removable back cover is rubberized, making it scratch-resistant, slip-resistant and durable. For those who want to express themselves with some extra style, Palm is introducing the Palm Pixi Artist Series. Designed by some of today’s most unique and compelling artists, these numbered, limited-edition back covers let you change designs to suit your mood. You can see the first collection in the series, as well as information about the artists, at www.palm.com/artistseries. Palm will be showcasing the fashionable new Palm Pixi with the Artist Series covers this week at the Mercedes-Benz Fashion Week in New York (Sept. 10-17). The Sprint Mobile Broadband Network reaches more than 271 million people, 18,652 cities and 1,838 airports, and Sprint’s networks are now performing at best-ever levels. Customers who purchase Palm Pixi will benefit from Sprint’s Ready Now, which the company pioneered to help customers leave the store educated, comfortable and confident about the phones they’re taking home. It is like having a free personal trainer that educates you on all your phone can do by setting up all the applications you want to use on the device. Palm Pixi is also the perfect complement to Sprint’s Simply EverythingSM plan, which provides unlimited nationwide calling, texting, email, social networking, web browsing, GPS navigation, Sprint TV, streaming music, NFL Mobile Live, NASCAR Sprint Cup Mobile and much more for only $99.99 per month. It’s a savings of $1,200 over two years versus some comparable competitor plans. The Palm Pixi phone is scheduled to be available from Sprint in time for the holidays. Pricing for the phone, as well as the limited-edition Palm Pixi Artist Series covers, will be announced closer to availability. Customers who would like to register to receive additional information about Palm Pixi and be notified when it’s available can register at www.palm.com/pixi. In addition, effective today the Palm Pre™ phone from Sprint is available for $149.99 with a two-year service agreement and after a $150 instant rebate and $100 mail-in rebate. You can find this great pricing at Sprint stores, on the web (www.sprint.com) and by calling Sprint’s telesales group (1-800-SPRINT1). With the new Palm Pixi phone, and Palm Pre at a lower price, Palm and Sprint are bringing greater choice of Palm webOS phones to a larger audience.